With some of the most amazing views from the Oregon Coast, halfway between Gold Beach and Bandon and 44 miles north to the nearest major city of Coos Bay. 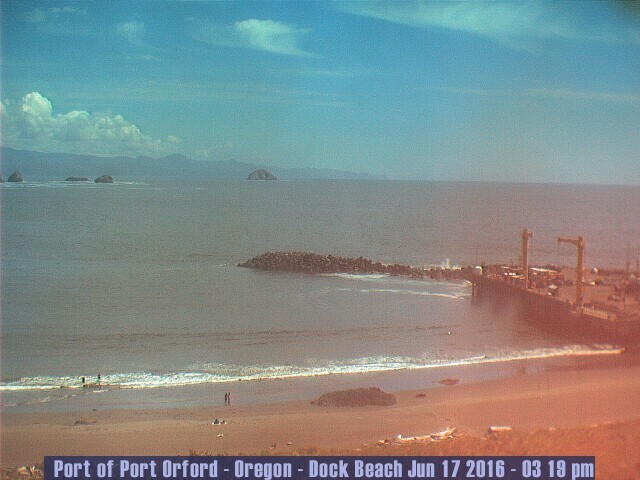 Even through Port Orford is small, it provides a wide range of things to see and do for visitors and locals. Home to about 30 commercial fishing boats which account for bringing in a lot of fish! The top producing port of live fish is Oregon! Known for their active artist community, Port Orford has several galleries owned and operated by working artists. Accommodations in the LOFT include a luxurious Royal-Pedic California King pillowtop bed with organic cotton linens, soaking tub with spectacular ocean views, plush leather sectional, gas fireplace, hi-speed wireless internet, and a slate balcony overlooking Battle Rock and the Pacific ocean. Take yourself away from the stress of a busy life. Enjoy a hearty, freshly cooked breakfast in our dining room, or take your coffee out on the porch when the weather is fine. Bring your binoculars and walk out on our birding trails, where you will see birds that live in the forest, marsh, and on the beach. Relax and enjoy the view of Garrison Lake and Mt. Humbug, or walk down to the beach to hunt for agates or enjoy one of our spectacular sunsets. The rest of the world will seem miles away. Castaway by the Sea Motel the beach lover’s home away from home! A pet friendly lodging establishment on the Southern Oregon Coast offering rooms, suites, and condo suites with cable, WiFi and spectacular ocean views from every room. https://www.facebook.com/pages/The-Crazy-Norwegians-Fish-Chips/139674942743895Seafood, burgers, Fish & Chips! Open Mon-Sun 11:30 to 8:00 PM. Visit the site on this spectacular portion of Oregon’s beach, where the historic battle between the first landing party of white settlers (Captain Tichenor’s crew of nine men) and a local Qua-to-mah band of Athapascan speaking natives. The event of June 9, 1851 was the beginning of the settling of Port Orford. Tichenor dreamed of Port Orford being a supply town, with a road to the mines in the Rogue River Valley and the Upper Klamath River in California. His dream of a supply town never materialized, however he did operate the first sawmill on the south coast, and built the ship Alaska in 1857. The S.S. Cottoneva was caught in a surprise storm, with winds to 75 miles per hour. She had been docked, partially loaded when the storm hit. The skipper did his best to get her out to sea, but she struck a submerged object, doing severe damage. The skipper had no choice but to beach the vessel. The men from the lifesaving station, using a breeches buoy, rescued the crew. The Cottoneva had been loaded with lumber from the Trans-Pacific Lumber Mill. Lumber from the mill had been pilling up on the vacant lots and streets in Port Orford due to a shipping strike.